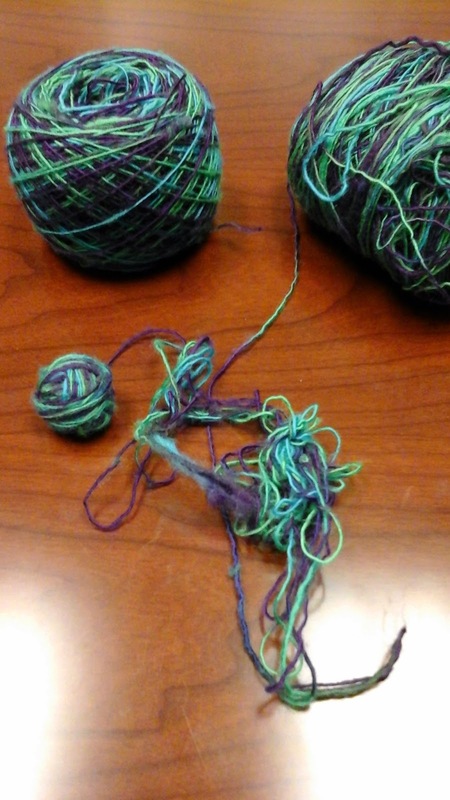 The small ball you see on the left was part of the tangle. As I was detangling it, the yarn broke. This was not the first time - it snapped itself in 3 other places as I was rewinding it. The ball to the far left is what I had done before the tangle broke. The things we do for the yarn we love.